From the left in the back row are Sungwoo Jung, Byongkyu Lee, Mingyu Jeong, Jungho Lee, Sang Myeon Lee. 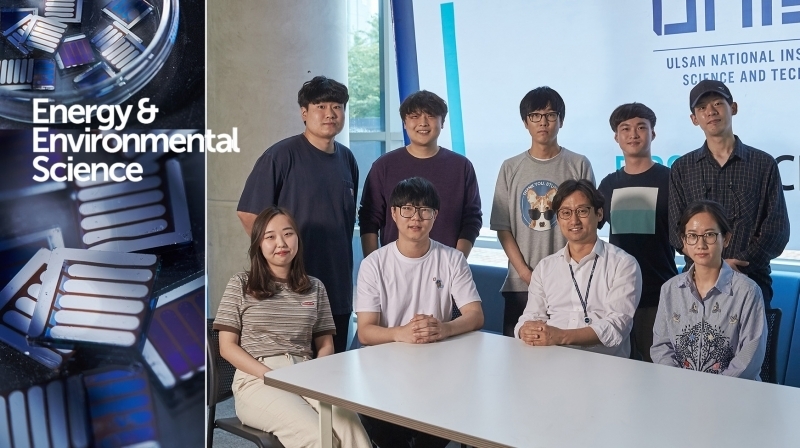 From the left in the front row are Jiyeon Oh, Yongjoon Cho, Professor Changduk Yang, and Dr. Shanshan Chen. Their findings have been published in EES, a high-profile journal publishing world-class energy and global environmental science research. 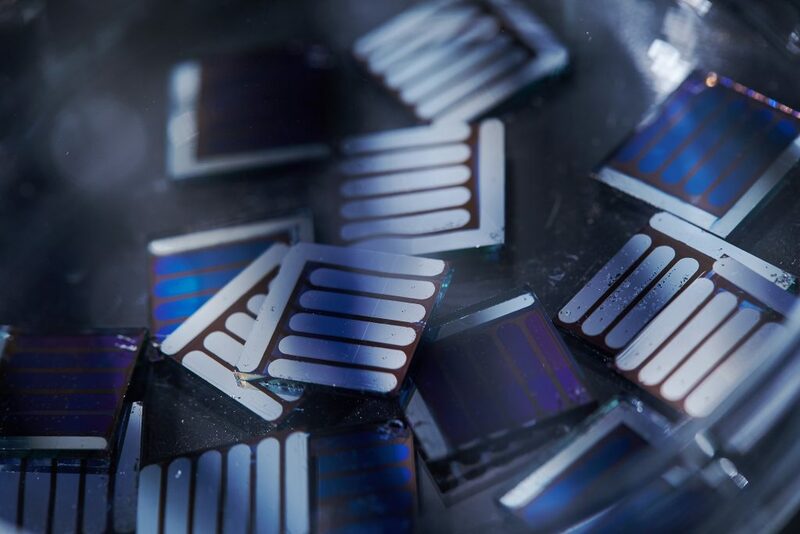 Although OSCs do exhibit high stability and reproducibility, the efficiency level of OSCs is not nearly as high as that of the perovskite solar cells. In the study, Professor Yang has solved the issues associated with the thickness of the photoactive layers in OSCs, thereby taking a step closer to the realization of large-area printing process. The findings of this study have been published in the June 22th issue of Energy & Environmental Science (EES). Published by the Royal Society of Chemistry, EES is a high-profile journal that publishes world-class energy and global environmental science research. Shanshan Chen et al., “Ultrafast Channel II process induced by a 3-D texture with enhanced acceptor order ranges for high-performance non-fullerene polymer solar cells”, Energy & Environmental Science (2018).